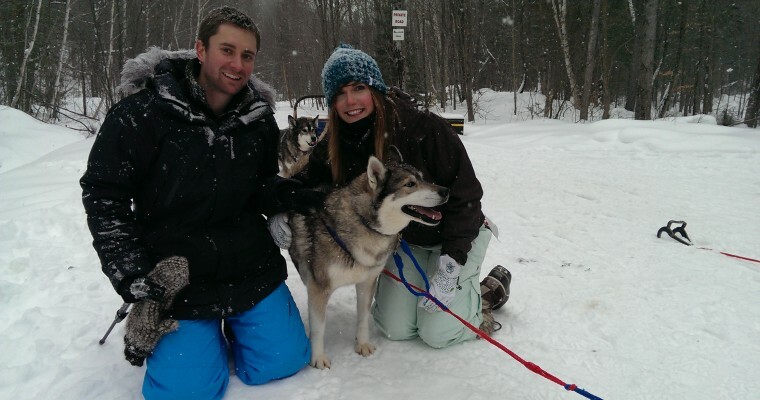 For my 32nd birthday this year Shannon booked us a weekend up north in an incredible B&B and some dog sledding. Winter always gets me a little down as it means I have to pack the motorcycle into storage. So to cheer me up we used husky power in place of horsepower, and boy was it fun. It was interesting because on hill inclines you have to get off the sled and run behind. The dogs actually check if you’re helping or not and if you’re not, they get upset and stop. We also got in some snowshoeing, relaxing, and I designed some new things in my sketchbook. I’m an incredibly lucky guy to have such an amazing woman in my life.